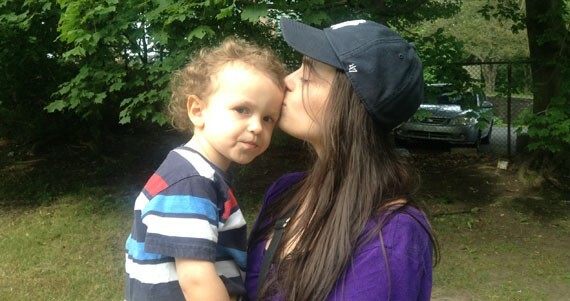 The trials and triumphs of one university student and her three-year-old son. Twenty-five-year-old King’s College student Nicoletta Dini and her three-year-old son Luca on a break from school to check out the playground. The faint circles around Nicoletta Dini’s eyes don’t diminish the glow in her smile as she watches her son run around the playground. His curly hair bobs playfully as he climbs up the slide and sits gingerly at the edge. Dini is a 25-year-old single mother trying to balance her three-year-old son, Luca, with school, dating, social life and family. She also deals with the stigma of being a single mother on a daily basis. Along with being mother to her three-year-old boy, Dini is currently doing her master’s degree at the University of King’s College and plans on going to law school after she graduates. Time management is crucial and she plans her days weeks in advance. Dini only has time to do schoolwork when her son goes to bed, so she usually works through the night. That’s put her social life on the back-burner. She often doesn’t have time to go out with friends or on dates, but Dini says her son and school are the priorities right now. Sarah Silver, executive director of the University Children’s Centre at Dalhousie, explains the role of daycare centres for university-attending parents is to help provide some normalcy for the student. “Downtime is really important. It’s important to have that time away from your child to regroup and do things that you need to do,” she says. Silver encourages single parents to reach out for support wherever possible and not lose sight of the bigger picture. “For single parents, they’re the sole decision-maker. 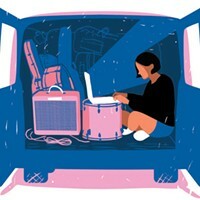 It’s hard to let go of your children already and it’s even more so when you’re all they have,” she says. Right now, Dini is counting her blessings. Other single parents have an even harder time because they have no one to help them, and she’s thankful for her family’s support. 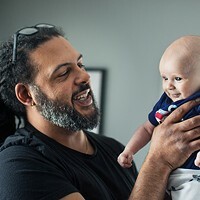 Stay-at-home dad, father of three boys and the province’s only male doula, Kelly Carrington is a role model for a new and better masculinity. 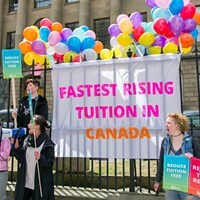 Tuition fees continue to skyrocket, and Nova Scotia isn't doing anything about it. Opening the door and visiting some of the quirky, stylish and warm-hearted student homes peppering the city. Willie Stratton and Cheryl Hann share stories about how schoolwork doesn't have to kill your creative passions.